Brands are taking advantage of existing fan bases and connections, using celebrities and athletes as a channel between products and consumers. Imagine a celebrity with millions of followers on Twitter and Instagram supporting your business' social media campaign. Those are huge numbers, and with simple endorsements like a tweet and a photo, brands can build its exposure and credibility almost drastically. As digital marketing strategies continue to evolve, pairing brands with influencers through social media is becoming a lynch-pin for a potential sales boost. Products are not only targeting celebrities and athletes, but YouTube influencers with large audiences as well, using their following to connect with a specific audience that they've built. Social Media Celebrities The first big step for this digital marketing strategy is finding the right match to endorse your brand socially. Social media provides a sense of 'realness' to celebrities, making these endorsements much more powerful. Consumers need to feel that the celebrity is an actual customer of the product and that their promotion of it is genuine. Be-Lieber-or-Not, Calvin Klein was able to bank in on Justin Bieber's fame with their spring underwear collection. The 2014 campaign introduced several half-naked photos of Justin and model Lara Stone in CK products, including the #MyCalvins slogan. Within 48 hours the hashtag generated 1.6 million Twitter mentions. The popular hashtag spread like a wildfire, prompting Instagram 'influencers' to create their own collection of #MyCalvins selfies. In the first four months, the #MyCalvins saw more than 4.5 million fan interactions, making it Calvin Klein's most successful digital campaign ever. This quote reiterates the importance of brand awareness and exposure through social media. Whether it's through a high-profile celebrity or self-created content, user engagement is a driver of sales. If you haven't heard of YouTube sensation PewDiePie (pronounced pew-dee-pie,) you soon will. Felix Kjellberg is a Swedish web-based comedian and producer, best known for his vlogs and gaming entertainment. As of February 2016, PewDiePie has 42 million YouTube subscribers and 11 billion total video views. 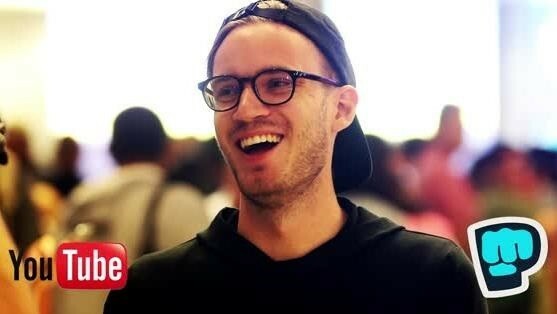 Not only is he a huge part of YouTube's billions of monthly views, but his staggering numbers make him a prime target for brands, specifically in the gaming industry. In 2013, PewDiePie partnered with Polaris, a gaming network that showcases popular vloggers and gaming entertainers. According to this article, he earned a CPM (cost per thousand views) of between $0.50 and $2.50 for each video, after the cut Polaris received. Although his list of endorsements and appearances are at a minimal, brands will still likely continue throwing cash at PewDiePie and YouTube to advertise commercials through his video posts and endorse their products just from the sheer popularity of his work. The success of the YouTube star garnered enough attention that The Walt Disney Company bought out Maker Studios (who own Polaris,) for $500 million with another $450 million in possible incentives. Maker Studios distributes video game-related content from the likes of PewDiePie and other big named vloggers. By all means, social media endorsements by celebrities and influencers isn't a new strategy in the digital era, but pairing a popular figure with a product is a no-brainer. Celebrities and influencers come pre-loaded with millions of followers and connections to use at a brands expense. That is what I call a recipe for success. Beliebe me.